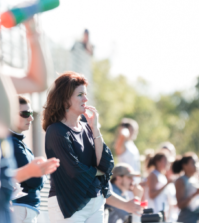 The Quinnipiac University field hockey team shut out Colgate University 6-0 on Friday. The Bobcats (3-1) are off to the best start to the season in the program’s Division I history with the win. 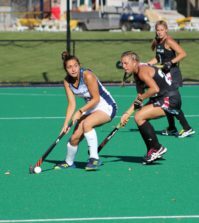 Jess Rusin led the scoring with a career-best three goals for a hat trick. She scored twice in less than two minutes during the first half. The last time a Bobcat had a hat trick during a game was in last year’s season-opener against Lehigh University when Kaitilyn Notarianni scored three times. Notarianni continued her success on the offensive end by scoring within the first eight minutes of the game. Kim Cunniff and Jessica Portal added to the victory with a goal each. Cunniff scored on a penalty stroke in the 29th minute and Portal recorded her first career goal in the 55th minute. Notarianni has scored in all four of the Bobcat’s games, and is second in points for the team. Amanda Danziger and Rusin both recorded an assist. Coming off her 19 save performance against Yale, goalkeeper Nicole Lewis had four saves in her first shut out of the season. 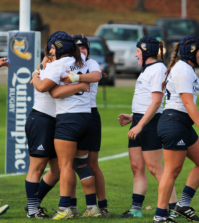 The Bobcats will travel to State College Pennsylvania to take on Penn State University on Sunday.